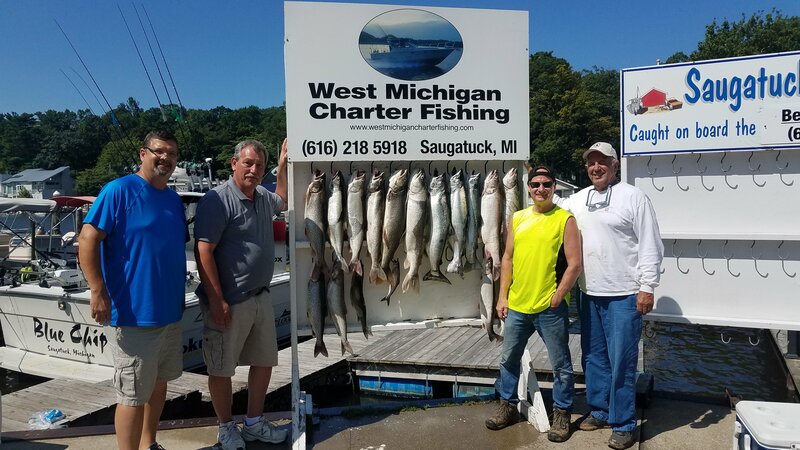 Today was great fishing from the port of saugatuck, we fished 90 to 110 fow with 100 to 105 being the best. Some kings are starting to show up again and they are coming 70 to 90 down on spindoctors and flys. Kevins girlfriend with a pickled sunshine fly took 2 kings today. The trout are taking glow green and glow pink whirly gigs behind chroms spin doctors. Keeping your rig right on bottom was important today! Good luck out there!